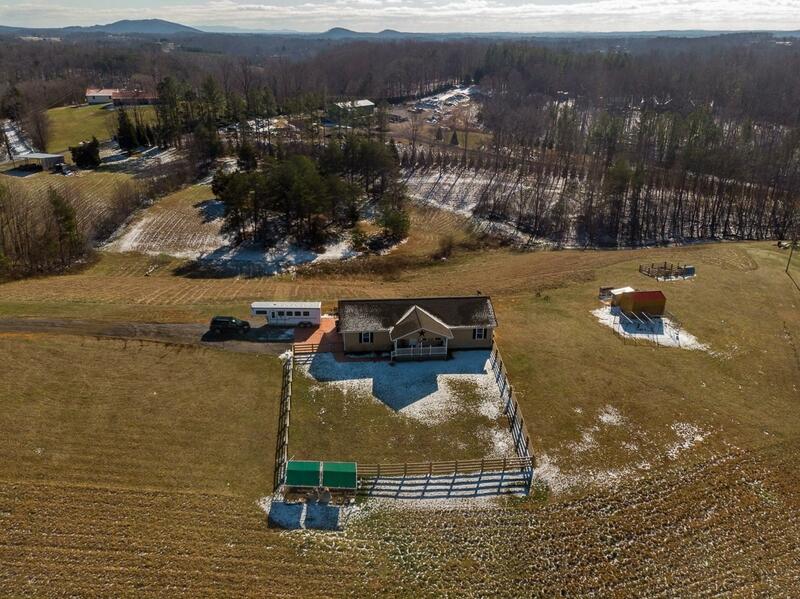 Privacy and convenience awaits you at this lovely ranch situated on over 7 acres.Driveway leads to the oversized 1-car garage w/large workshop area & finished 1/2 bath. Open porch overlookslarge newly fenced yard w/mountain views. Features include a spacious upgraded kitchen, wood floors, gas logfireplace w/stone surround & finished walk-out basement including a large additional built-in garage. Low Bedford County Taxes!